Wisconsin jury finds gun store liable for selling firearm used to shoot cops. 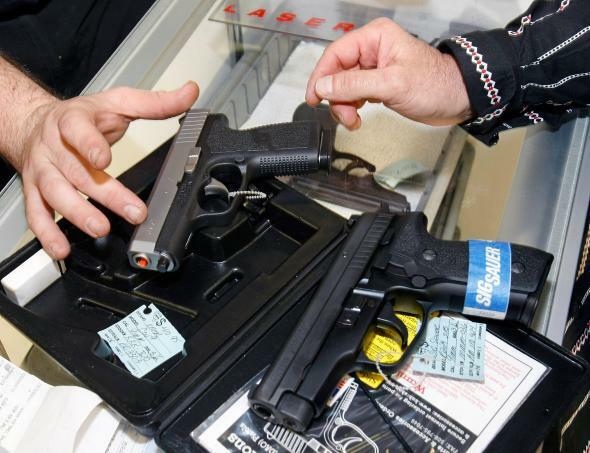 Wisconsin Jury’s Landmark Decision: Gun Store Liable for Selling Firearm Used to Shoot Cops. Badger Guns in suburban Milwaukee has been linked to firearms at hundreds of crime scenes. A Wisconsin jury ordered a suburban Milwaukee gun store to pay nearly $6 million after finding the store broke the law by selling guns that ended up being used to shoot two police officers in 2009. The lawsuit brought by the two officers claimed that Badger Guns was negligent when it ignored warning signs the gun was being sold to a so-called straw buyer, someone who’s purchasing a gun for another individual. The gun was later used by Julius Burton to shoot two police officers in the face when they stopped him for riding his bike on the sidewalk. Authorities have linked hundreds of guns found at crime scenes in the area to the same gun store. The gun shop’s attorneys denied wrongdoing. They said the owner of the store at the time of the gun sale, Adam Allan, couldn’t be held financially responsible for crimes connected to a weapon sold at his shop and that the clerk who sold the weapon didn’t intentionally commit a crime. Rather, they said [the straw man Jacob] Collins and Burton went out of their way to deceive the salesman. Burton and Collins came into the store together, Burton pointed out the gun he wanted and said “that’s the one,” Dunphy said. When it came to the paperwork, Collins marked on a form that he was not the actual buyer of the gun. He was allowed to change his answer to “yes” by the clerk, Dunphy said. Dunphy also noted Collins put down the wrong address on another form and when he was paying for the gun, he didn’t have enough money. He left the store with Burton and came back with the rest of the cash. The Badger Guns store has changed names several times, but has been owned by the same family throughout, and was labeled the “No. 1 crime gun dealer in America” in a earlier court case.